This advanced serum combines Vitamin C, Olive Leaf Extract, Vitamin E and Vitamin A for excellent antioxidant and healing properties. 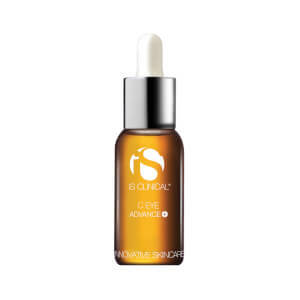 This serum is excellent for treating rosacea, cystic acne, insect bites and some forms of dermatitis. Offers soothing relief from itching. Kojic Acid and Arbutin help to control hyperpigmentation. Zinc Sulfate enhances wound healing and is anti-inflammatory. Recommended for dry and sensitive skin types. I use this product very gingerly, when I feel excess redness in my cheeks or for minor outbreaks. It's not something I would use everyday as part of my normal skincare regiment, but it really does work when I need it to. It lasts a very long time -- a very small droplet is all that's needed on the affected area. I have combination, sensitive skin prone to acne. 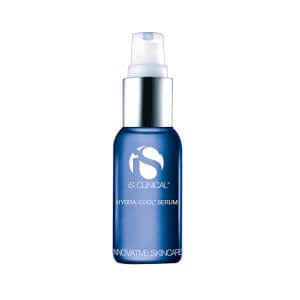 Since using this serum, my skin is smoother, brighter, and hydrated without breakouts. I even used it on an irritated spot on my neck which cleared up in two days. I apply it day and night before my moisturizer. I am very pleased. I have gone to other products to try and save money but nothing gives the same result as this. I have had acne since I was a teen (now in my late 20's) and this stuff calms and prevents like no other. I've tried literally dozens of expensive products and prescriptions but this is the only one that has given solid results. It is not an overnight fix though...have to keep using it!I rated the price/value low ONLY because I found out that Skinstore.com is no longer listed as an authorized seller. When I contact them they said it was a mistake and would look into rectifying it but so far they still aren't listed again. They used to be as that was how I originally came to purchase from them. I discovered IS Clinical products when my doctor's office gave me a sample. I have been hooked ever since. I have sensitive, break-out prone skin. The cleanser, Pro-Heal Serum Advance Plus, Youth eye and complex cream are part of my daily routine. My skin has never looked better.